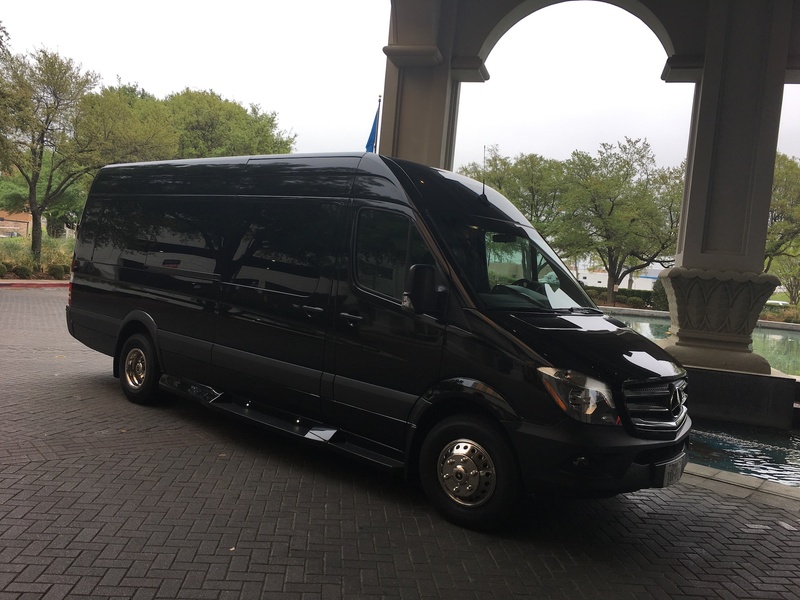 Mercedes-Benz Sprinter Van Rental in Dallas,Texas with chauffeur. Top of the line Mercedes-Benz Sprinter Van that seats 13 passengers in rear and 1 Passenger up front. 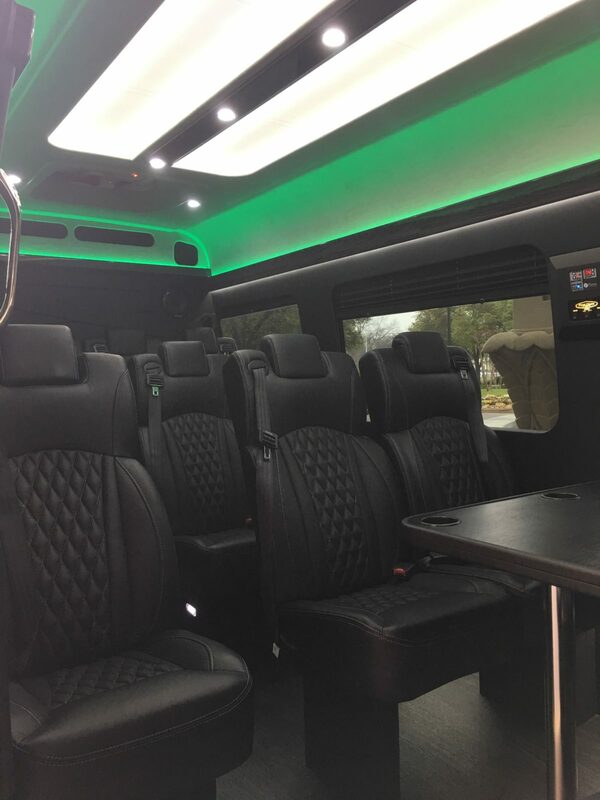 $180 per hour includes all costs including gratuity. 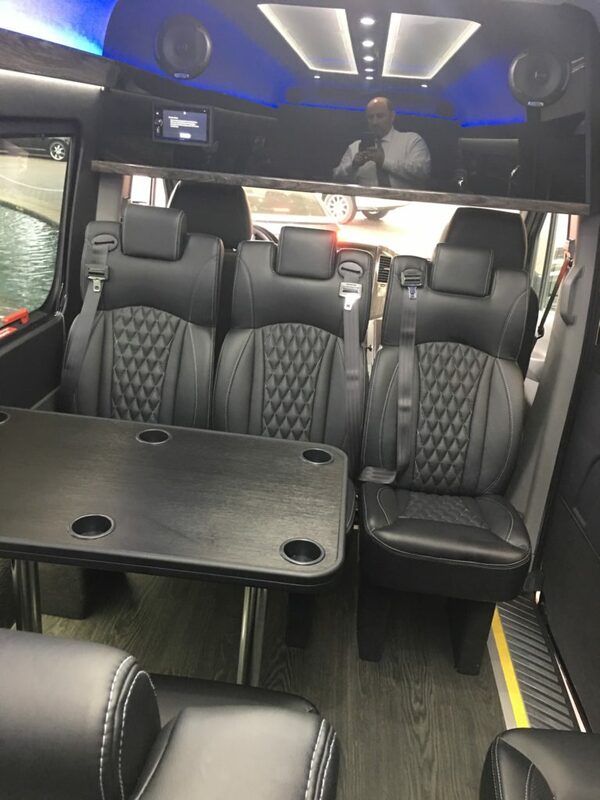 It even has a seat for your own executive security officer.The features of this Executive Sprinter Van are OnBoard WIFI,TV,DVD,CD,BlueTooth,Leather Seats,”LED” lights that you can turn on or off.Please call 214-621-8301 for pricing and availability.